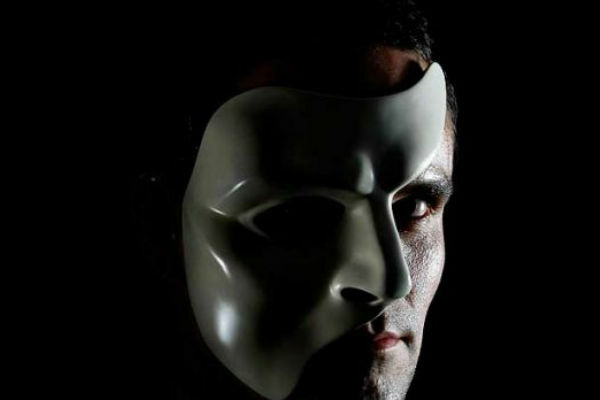 Ben Lewis played ‘The Phantom’ in the original Australian production of Andrew Lloyd Webber’s “Love Never Dies” (pictured). Ben’s most recent theatre credits include the role of Frank Butler in the Crucible’s production of “Annie Get Your Gun”. He was also in the original UK cast of “Love Me Tender” and starred in “Forbidden Broadway” and “Candide” at the Menier Chocolate Factory. Kelly Mathieson will be making her West End debut in the production. Previously Kelly trained at the Scottish Ballet Company and the Royal College of Music. Previous Opera credits include “Le Nozze de Figaro”, “Agrippina”, “Orpheus and the Underworld”, “Die Zauberflöte” and “Carmen”. Jeremy Taylor’s previous theatre credits include, ‘Fiyero’ in “Wicked” and ‘Galileo’ in “We Will Rock You”, both in the West End. He also starred in the UK tours of “Evita” and “The Sound of Music”, as well as appearing in the Palladium production. Amy Manford has sung internationally as a soloist with the London Handel, London Cello and the Perth Symphony Orchestra’s. Amy recently graduated with a Masters of Performance in Vocal Performance from The Royal College of Music and she will be making her West End debut. The above join Lara Martins as ‘Carlotta Giudicelli’, Siôn Lloyd as ‘Monsieur Firmin’, Mark Oxtoby as ‘Monsieur Andre’, Jacinta Mulcahy as ‘Madame Giry’, Paul Ettore Tabone as ‘Ubaldo Piangi’, Georgia Ware as ‘Meg Giry’ and Scott Davies as the standby ‘Phantom’. New to the cast this September are: Matt Bateman, Jade Davies, Hannah Grace, Andrei Teodor Iliescu, Jordan Simon Pollard, Una Reynolds, Emily Smith, Rachel Spurrell and John Stacey.